The cello pictured here has already sold. We will get another cello in, refinish it with blonde stain and oil finish it ourselves here in Pasadena. Then we fit pegs and bridge to it, install endpin, tailpeice and strings and play it. Nice advanced student cello with looks that will turn heads! Amplify this baby and you're the star of the show. It has a big acoustic voice, but amp it up and fill any hall. Solid carved select spruce top. Solid carved flamed maple back and sides. Rosewood pegs and Ebony fingerboard. 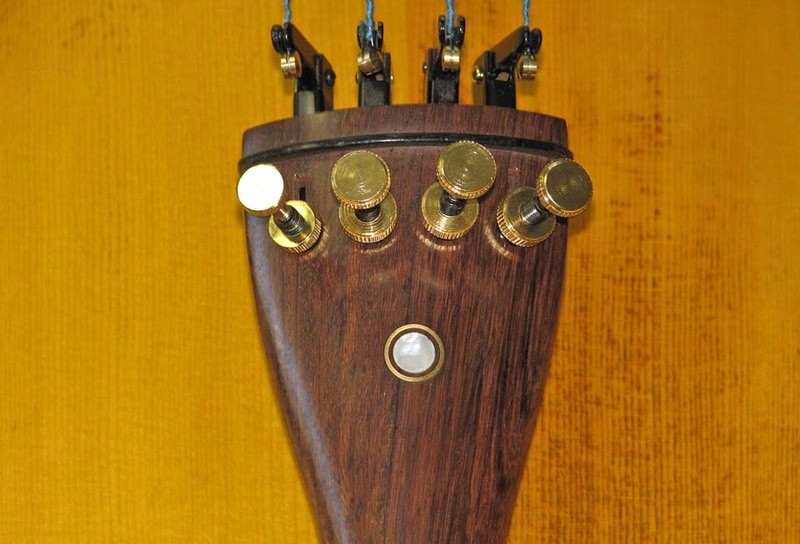 Rosewood tailpiece with 4 fine tuners installed. fingerboard dressed for smooth arched shape. $200 setup done to this cello so you get it all adjusted ready to play beautifully. WARM MELLOW and RICH SOUND, you won't believe this superb sound coming from a cello costing this little. AND it plays well across the register with a balanced full sound. Brand names in many stores of this quality sell for $2000 and up, get a killer price here.